Ugly Kid Joe (1989-1997, 2010-present) is a Funk Metal band from Isla Vista, California, USA. gly Kid Joe was started by classmates Whitford Crane (vocals) and Klaus Eichstadt (guitar). Completing the line-up with Roger Lahr (guitar), Cordell Crockett (bass) and Mark Davis (drums), they soon earned the reputation of being party men with 'Mercury' winning the race for their signatures resulting in a platinum winning mini-album with As Ugly As They Wanna Be in 1992 gaining a 4 US/9 UK, and the follow-up single Everything About You following it along for the ride at 9 US/3 UK later that same year. America's Least Wanted (1992), their first full-length album, made it to 27 US/11 UK featuring a cover of Harry Chapin's Cats In The Cradle. 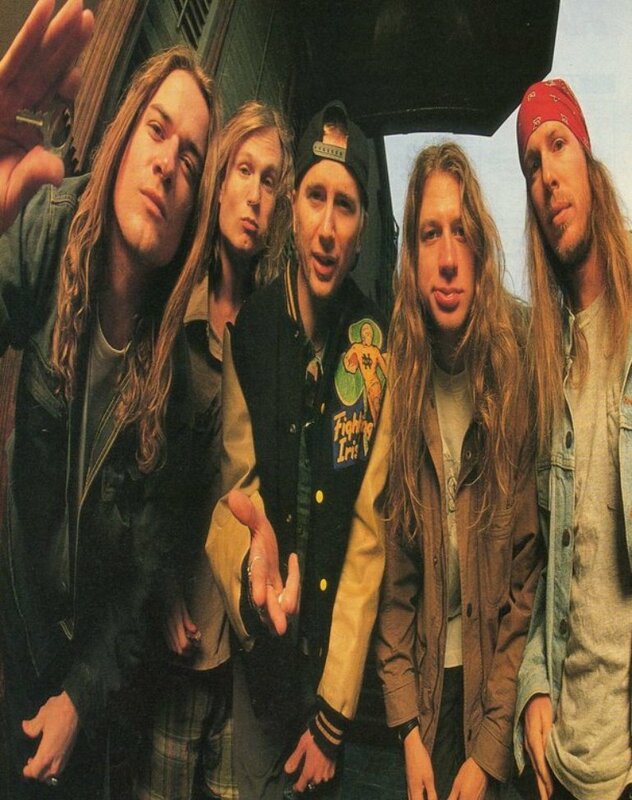 By early 1994 a membership shift had taken place with Dave Fortman (ex-Sugartooth; guitar) and Shannon Larkin (ex-Wrathchild America/ex-Souls At Zero) replacing Lahr and Davis respectively for their Message To Sobriety (1995) release that got 25 UK Along side Ice-T, Crane would get a credit on Motorhead's single Born To Raise Hell before the release of their own double CD set Motel California (1996). They split shortly later with Crane moving on to Life Of Agony. ... Or so we thought when in 2010 the act reunited under the reformed membership of Whitfield Crane (lead vocals), Klaus Eichstadt (guitars/backing vocals), Cordell Crockett (bass/backing vocals), Dave Fortman (guitars/backing vocals), Shannon Larkin (drums/percussion), all originals during at least part of the original tenure, and Zac Morris (as second drums/percussion) joining in 2012 to release Uglier Than They Used ta Be in 2015.